With winter break just around the corner, more teens than normal will be free to drive around at all hours of the day or night. While that does not necessarily mean that those teens are up to no good, the truth is that teens are far more inexperienced behind the wheel than adults and much more likely to cause car accidents. When teen driving accidents do occur, victims and their families want to know: who is liable – the teen or the teen’s parents? At Spencer Morgan Law, our Miami car accident attorneys are intimately familiar with Florida’s liability laws. We have helped countless accident victims recover compensation for harms caused by others’ negligence, and we are prepared to do the same for you. If you were injured in a car accident caused by a teen driver, reach out to our Miami personal injury law firm today. The presence of teen passengers increases the crash risk of teen drivers, a risk that goes up with each additional teen passenger. The numbers very clearly indicate that teen driving is dangerous, yet parents continue to let their adolescents drive around without adult supervision, which begs the question: should parents be held liable for a teen driver’s damages? Florida, like many other states, adheres to the theory of “vicarious liability” in many personal injury cases. When using the theory of vicarious liability, the courts impute negligence from the party who actually committed the negligent act to a third party who played no role in the actual incident nor encouraged the negligent behavior. Though this may seem unfair to the otherwise innocent party, the state of Florida has several reasons for continuing to assign vicarious liability. First, vicarious liability ensures that each case has a financially responsible defendant who can provide relief to injured parties. Second, the courts hope that in utilizing vicarious liability, the community as a whole will “feel the loss,” and therefore, work harder to prevent similar losses from occurring in the future. Finally, the courts further hope that by imputing liability to innocent parties, those parties will better guard against the accidents in the future. One form of vicarious liability is dangerous instrumentality. The theory of dangerous instrumentality arose back when there were master-servant relationships. The idea behind it was that if a master allowed a servant access to or use of an instrument that was either inherently dangerous or could be used in a dangerous way, and if the servant injured another person because of the master’s decision, the master could be held liable for his or her servant’s misuse of the instrument. So, to answer the question of who should be liable for damages caused by a teen driver: if the parents owned the vehicle which the teen was driving at the time of the accident, then the parents would be responsible for damages. 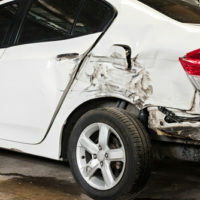 Unlike standard car accident cases in which there are no caps, Florida places caps on how much compensation victims who sue under the theory of vicarious liability may receive. Damages are capped at $100,000 per person for the negligence of a permissive driver and up to $300,000 for bodily injury. The exception to this is if the permissive driver was driving a vehicle for commercial purposes, in which case, there are no damage caps. Even if a teen bought a vehicle with his or her own money, his or her parents may still be held liable per Florida Statute 322.09(2). This statute states that any adult who signs a minor’s driver’s license application can be held jointly and separately accountable for damages caused by the minor’s “negligence or misconduct.” Unlike a claim brought under the theory of dangerous instrumentality, there are no caps on damages when one brings a lawsuit against an adult who signed a negligent minor driver’s license application. If you or a loved one was injured in a car accident caused by a teen driver, there are several ways in which you can hold the teen’s parents or guardians accountable. Reach out to the Miami car accident attorneys at Spencer Morgan Law for the legal guidance you need to maximize your award today.